Are you looking to make a big, floppy yarn pom to adorn the top of a hat? 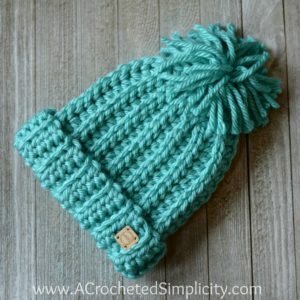 In this tutorial, I’ll share with you how I made the one for my daughter’s newest hat, the Knit-Look Super Bulky Slouch (shown below). 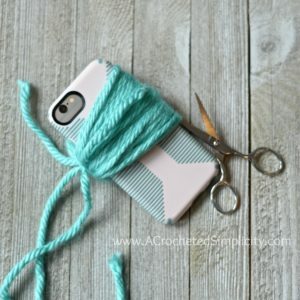 Step 1: Cut an 18″ long piece of yarn and lay it across your cell phone (or piece of cardboard), as shown above. This is the yarn you’ll use to form your pom and secure it later. 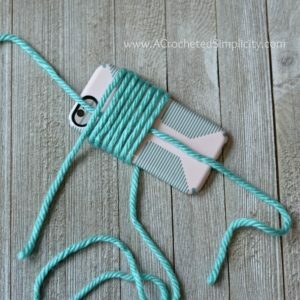 Step 2: Leave a 3-4″ long tail and begin wrapping your yarn around the long edge of your cell phone, as shown above. 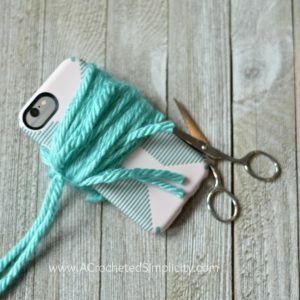 Wrap the yarn around 40 times. 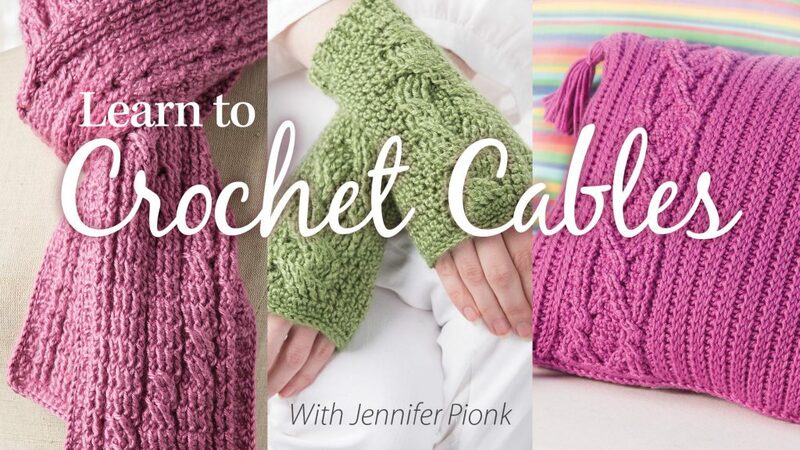 Make sure to wrap it around the 18″ piece of yarn you placed in the previous step. Do not wrap too tightly or it will be hard to remove the pom later. 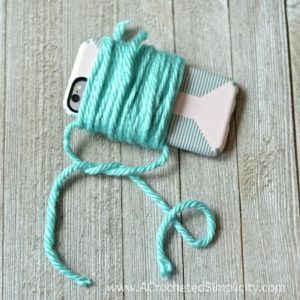 Step 3: Continue to wrap the yarn around your cell phone until you’ve wrapped it 40 times. I like to wrap mine as neatly as possible to keep the loops the same size. Step 4: After you’ve completed wrapping your yarn, flop the tail up on top of the rest. 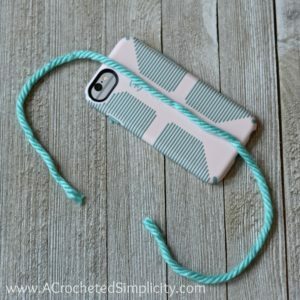 Slide the 18″ piece of yarn down until it’s along the long edge of your cell phone. Tie it to secure. 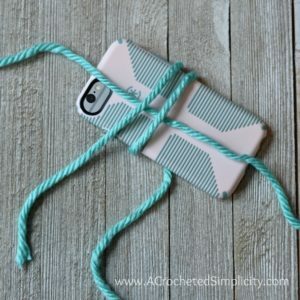 Tip: I like to tie mine loosely until I remove the yarn from my cell phone, then I loosen the knot and tie it tightly. 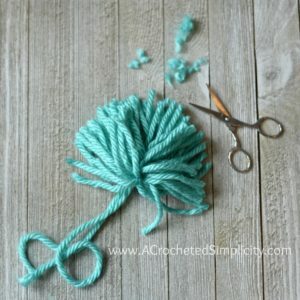 Step 5: Use your scissors and cut the loops of yarn along the long edge opposite of where you gathered the yarn. Continue cutting the loops of yarn across the long edge until you have cut all of them. 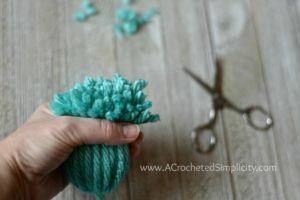 Step 6: Secure your yarn pom by re-knotting the knot you made in step 4. Make it as tight as you can without breaking the yarn. Next, use your scissors to trim the uneven ends of your pom. Step 7: To help me shape my pom, I like to gather it in one hand like a tassel. I then take my scissors and trim the long ends in an arch shape. Voila! 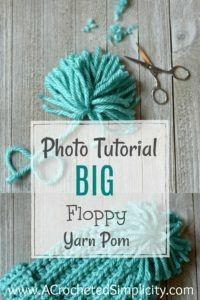 You’ve made a Big, Floppy Yarn Pom! Now you’re ready to secure it to the top of your newest hat using the tails of yarn from the beginning 18″ piece. 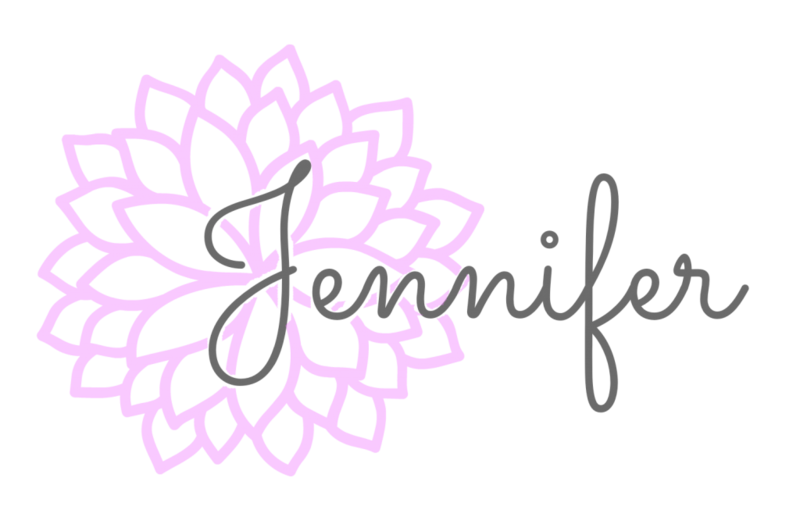 Click on the photo below to be taken to the Knit-Look Super Bulky Slouch (Kids’) crochet pattern!